Made with its exceptional community, ranging from the world renowned Universities and cultural establishments to local families, Bloomsbury Festival is unique. Each year this diverse community comes together to create an inspiring programme of arts, science, literature, performance, discussion and reflection, that shines a light on the radical imaginations, institutions, and 11,000 residents that shape contemporary Bloomsbury. 2017 is the biggest and boldest year to date, bringing together global and local ideas of independence. Happening across Bloomsbury, from major institutions like The British Museum and University College London to quirky spaces and family favourites like Coram’s Fields. 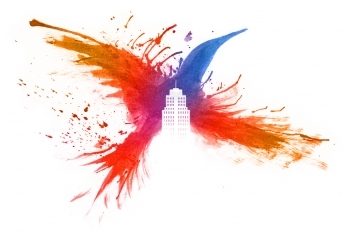 With over 130 events, the Festival attracts audiences of more than 17,000 people from across the capital and beyond. The Festival also delivers community engagement projects which give a voice and new skills to young people, older people and disabled people. 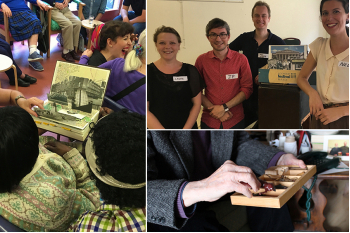 Outside of the Festival period, we deliver projects such as the ‘Festival in a Box’ into homes of people living with dementia, into care homes and into hospitals. Above all, the Festival aims to be enlivening, engaging, entertaining, and fun! For more information about the Festival and our programme of events please visit our website. BF PIONEERS - HELP MAKE A DIFFERENCE!